The Water Cooler is pleased to host guest blogger K.M. Weiland. Every character is the hero of his own story. That bit of popular advice is a marvelously evocative reminder to breathe life into even minor characters. However, chances are you’ve also had the sometimes-charming, sometimes-frustrating experience of a minor character who decides he’s not just the hero of his own story, but the hero of the story. He tries to take over, usually with mixed results. So how can you go about hero-izing your minor characters into memorable and realistic personalities without letting them derail your story? 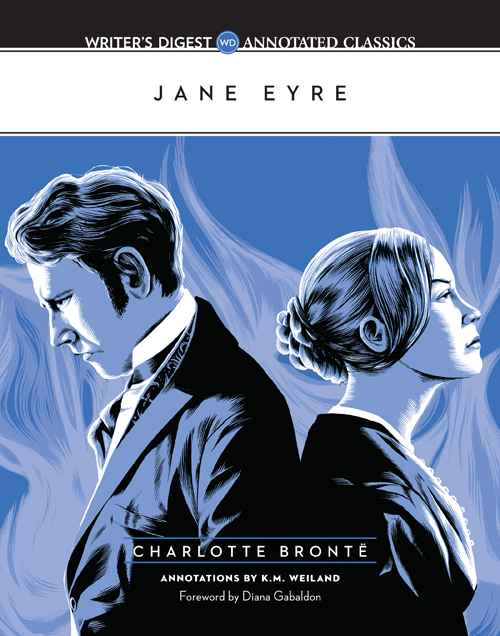 Charlotte Brontë’s masterful novel Jane Eyre (which I analyze in-depth in my book Jane Eyre: The Writer’s Digest Annotated Classic) offers some excellent examples on how to deftly bring to life any type of character—without letting them run away with you. First, take a moment to consider the various types of characters you might find in your story. Which category your character falls into will determine how he should be introduced. Main characters are protagonists. They will be on stage in all or most of your scenes and will probably be given the primary point-of-view narration. Their goals and character arcs power the plot. Without them, there is no conflict and no story. To find Jane Eyre’s main character, we need look no further than the title. Major characters are those who figure in the story almost as prominently as the protagonist. However, they act in roles that support the protagonist. They drive the story only in ancillary ways. Antagonists, sidekicks, love interests, and mentors are all examples of common major characters. In Jane Eyre, St. John Rivers acts as one of the antagonists, Helen Burns appears briefly as a sidekick, Edward Rochester is the love interest, and the housekeeper Mrs. Fairfax sometimes functions as a mentor. Minor characters fill out the rest of the cast. They are characters who recur throughout the story—sometimes only once or twice, sometimes frequently. They fill in the gaps in the story world, allowing readers to believe the setting is populated with the multitudinous faces we find in our own world. Minor characters may dramatically affect the plot, but only in comparatively small ways. They are not as integral as major characters. In Jane Eyre, her cousins the Reeds, the nasty Blanche Ingram, and St. John’s would-be wife Miss Oliver are all important, but decidedly minor characters. Walk-on characters are those who appear only once, fulfill a necessary role, and exit the story, probably never to be mentioned again. They are rarely named and exist only for background color or plot functionality. The many servants at Thornfield Hall and Jane’s fellow students at Lowood School are all walk-on characters. Identifying which group a character belongs in will help you understand how to introduce him. No matter his role, you want to bring him to life in your readers’ minds. You want them to clearly visualize him—and not just visualize him, but see him as a unique and vibrant human being. This is where we sometimes get tripped up. We don’t want readers to dismiss our walk-on taxi driver as a cardboard cutout, or, worse, a cliché. So we spend several paragraphs describing his appearance, his accent, his personal tics, maybe even a little of his backstory. There! Now, he’s three-dimensional! Problem is he’s also now giving readers the wrong signal. The more time you spend introducing a character, the more you foreshadow his importance within the story. A walk-on character who gets three paragraphs of intro, only to never show up again, will be at best a niggling loose end in readers’ minds. At worst, he’s a gaping plot hole. Save your paragraphs of description for main and major characters. Weigh carefully how much attention you give to minor characters. The time you spend on them should never outweigh their roles in the story. As for walks-on, you’ve already guessed it: they deserve only a sentence or two of your attention. So riddle me this: If you’re not allowed to give walk-on characters (and some minor characters) more than a sentence or two, how in heaven’s name can you be expected to bring them to life? Details are the key. Choose the right details, and you won’t need more than a few. Choose the perfect detail, and you might not even need more than one. Charlotte Brontë offers a fabulous example of this in her introduction of a walk-on postal lady early in the book. The character appears only in this scene and affects the plot only because Jane needs to get her hands on that fateful letter from Thornfield Hall. Brontë expends just three sentences on the old lady, which introduce a sum total of three important characterizing details (see bold phrases below). But that’s more than enough to bring her to life without implying she plays a larger role in the story than she does. The next time you write a walk-on character, challenge yourself to come up with three—no more, no less—precise, pertinent, and enlivening details with which to describe him. Then evaluate the effect and see if your brief description hasn’t provided your story with an unobtrusively vivid new character. K.M. Weiland lives in make-believe worlds, talks to imaginary friends, and survives primarily on chocolate truffles and espresso. She is the IPPY and NIEA Award-winning and internationally published author of the Amazon bestsellers Outlining Your Novel and Structuring Your Novel. 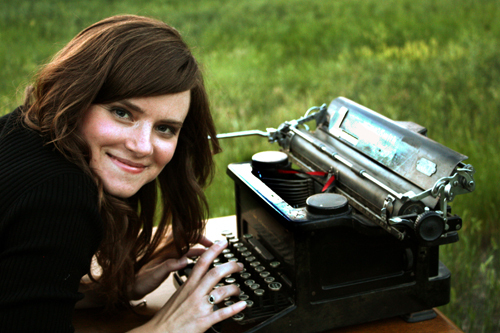 She writes historical and speculative fiction from her home in western Nebraska and mentors authors on her award-winning website Helping Writers Become Authors. This entry was posted in Writing and tagged Character Introductions, K.M. Weiland, Main Characters, Major Characters, Minor Characters, Walk-On Characters by Greg Johnson. Bookmark the permalink. Keeping characters in their places while still making them vivid requires skill. Another way to minimize a passing character’s impact is to avoid attaching a name. Yes, great point about the name. A name immediately attaches importance to a character.